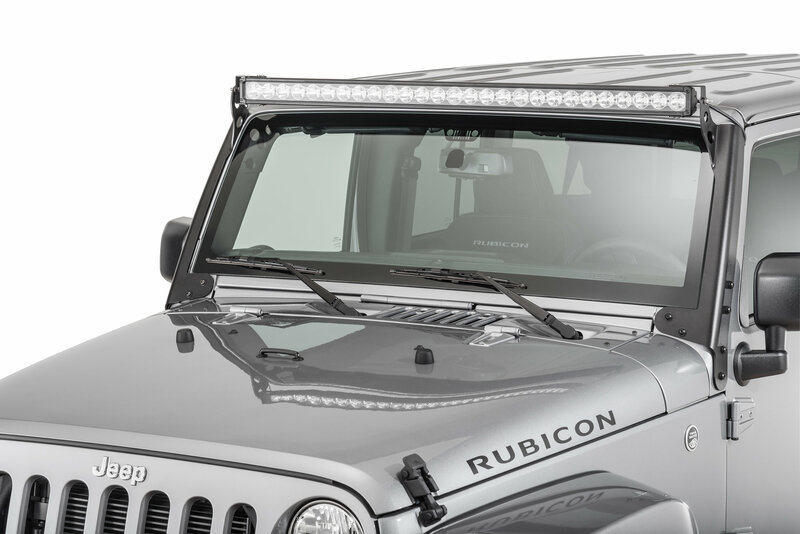 The Quadratec Windshield Frame Light Bar Mounts allow you to easily install a 50" LED Light Bar above your windshield. The Light Bar Mounts are manufactured using 3/16" thick steel, laser cut and formed using a CNC precision press brake. They are designed as one piece construction with no weld seams for a smooth finished cosmetic look. No drilling or other modification is necessary for installation, they simply bolt to the windshield mounts using existing hardware. Precision cut Rubber Gasket liners are included with the light bar mounts to protect your vehicles paint from scuffing. 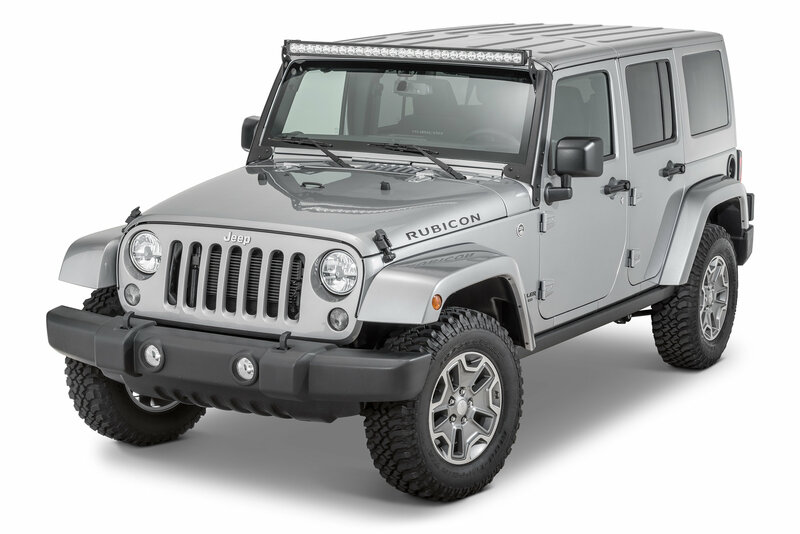 Another unique feature with this Light Bar Mount is the ability to hide the LED light wiring by running it behind the bracket. The new 2 bolt option allows for use of mirror mover & A-pillar brackets. 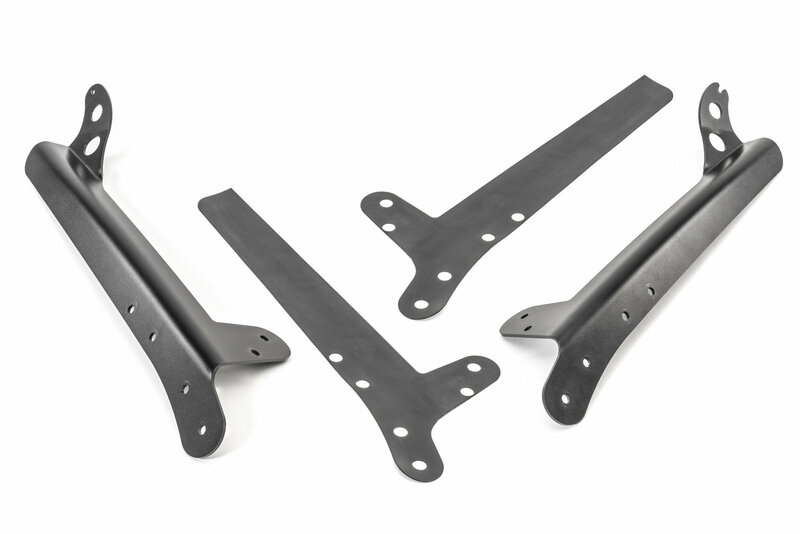 All brackets are finished complete with E-Coating & Black Fine Texture Powder Coating for superb corrosion resistance.